Hire highly skilled Django developers and gain quality and performance based scalable web applications. Get your work done with top Django developers of market at Let’s Nurture. Let’s Nurture is the Django development company in India, USA, UK, Canada, Singapore and Australia providing flexibility to hire Django developers. We, as a team, have been responsible for architecting multiple robust, scalable and secure Django applications. We provide Django development services to businesses of kinds, from startups to large enterprises who need better web apps quickly and with optimum security. Our developers build tailor-made web applications using Django REST Framework which include full gamut of features including caching and parallel processes. With 3+ years of experience in Django development we provide custom Django development services to meet global client needs, from building Web/ Desktop applications, Content Management System (CMS) using Django CMS or Rest-APIs. To provide Django Web application development services to our global clientele in the best manner, we provide Staff Augmentation Services with much needed flexibility that compliments our engagement model. Hire Django developers from us who are proficient in providing end-to-end enterprise solutions on small, medium or large scales. We offer onsite staffing services for Django developers to clients and companies within the same geographical border to fill gaps in development cycle by frequent onsite visits or full-time presence at your place. We provide Django developers staffing services for countries like US, Canada, India, Singapore and Middle East for regular review meetings, system deployment or ongoing IT project development. Hire and employ Django developers to bring them at our offshore development center (ODC). We have client-oriented process in which our project managers will keep you in loop in communication channels with on-time reporting. Django is a high level Python web framework that encourages rapid development with clean, pragmatic design. Django incredibly handles top two issues of today’s Web development - security and huge amount of data. We have the team of 15+ Django developers who have experience of 20+ Django projects ranging from Rest APIs to Web applications including CMS. Django is one of the top used and loved framework as per the Stack Overflow’s yearly survey. It is ridiculously robust, fast, secure and exceedingly scalable framework which is why it can be used in multiple domains like IoT, Machine Learning (ML), Ecommerce, data analysis and many more. We as a team have worked with all of the above specified domains using Django framework. 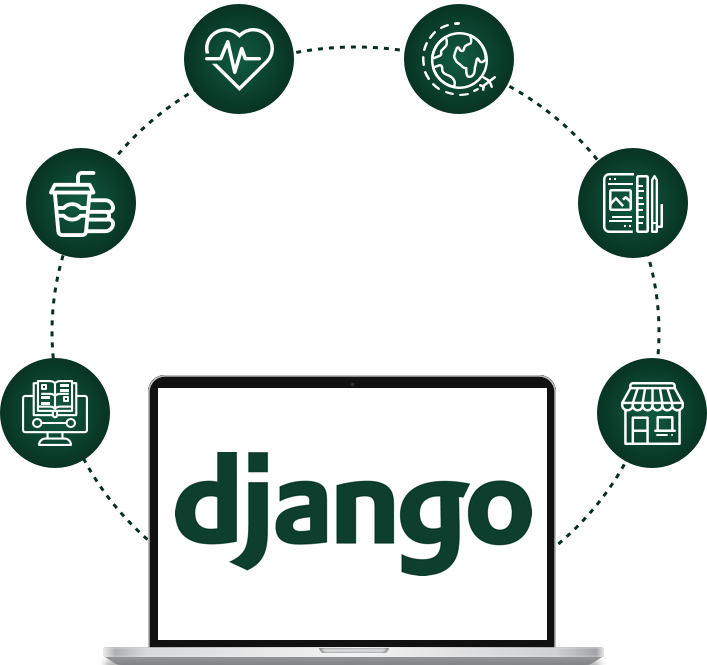 Using Django framework, we build powerful Ecommerce and smart retail app solutions which improve performance of client’s ecommerce platform by managing large amount of data related to orders, inventory and e-cart. Due to the rise in demand in food & beverages industry, our Django developers have developed APIs as well as Web applications for online food ordering and delivery. We are experts in developing online food ordering/ delivery platforms. Our unique skill set in working with Django development and framework improves client’s business strategy and operational cost. We provide expert consultation to our clients to provide travel booking platform which are custom and scalable. We are specialized in developing advanced e-healthcare solutions with end-to-end web & mobile healthcare application development services. From Doctors On demand to Smart Pharmacy inventory management solutions, we do it all. Let’s Nurture provides Content Management System CMS development using Django CMS - one of the frameworks written using Django. Our Developers have built easy to use content management platform for clients. Think beyond old learning method services & enter the modern era with our Python Django Development Services. Why to Hire Django Developers from Let’s Nurture? 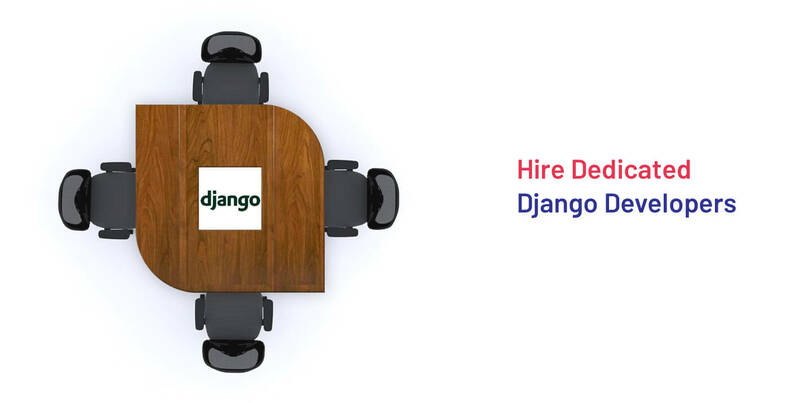 With greater flexibility to hire Django developers, we also hold other gems which make us stand apart in the domain of smart mobility solutions providers using Django framework. Our value propositions are explained below. Hire Django developers from Let’s Nurture who are experts in working with upcoming innovations like Blockchain, IoT, AI to provide unique solutions to an array of industries. We provide end-to-end Django development services regarding consulting, strategic development and UI/UX design, Django testing, delivery and deployment. Do you have any innovative idea? We can bring the Django ecosystem to you!! How can Django development add more value to my Business? Hire Django developers from us who can make tailor-made Django enterprise applications to create unique and engaging solutions. With the fact that business demands are rising everyday and loads of data is being transferred, Django app development will help in creating a custom, dynamic, robust, scalable and secure system that will reduce the operational cost and increase productivity. From idea, production to release, Django helps in making it both cost effective and efficient. Alongside with that it supports Security, Scalability, Versatility. What steps I should follow to Hire a dedicated/ part-time Django developer from you? Would I have the complete control over Project Development cycle if I hire Django development team? Yes. With “Hire a team” model, you will have a direct access to our Django development team. This business model is most advisable for CTO/ technical people and enterprise level firms who wants the constant changes in the system. What if I am not satisfied with the dedicated Django developer performance? Will you replace? What is way to monitor and communicate the development of project with Django developer hired? We provide reporting on daily, weekly, biweekly or monthly basis and update progress report on shared account on platforms like Zoho, JIRA, Slack with emails, Skype and UberConference. Hire Django developer with complete peace of mind.